We’ve featured a whole lot of very expensive bikes on road.cc lately; we thought it was about time we reviewed something a little more real world and affordable, so allow us to introduce the £949 Scott Speedster S30 complete with Shimano’s newly redesigned Tiagra groupset. There are five bikes in the Speedster range, starting with the £749 S50 and going through to the £1,649 S10. 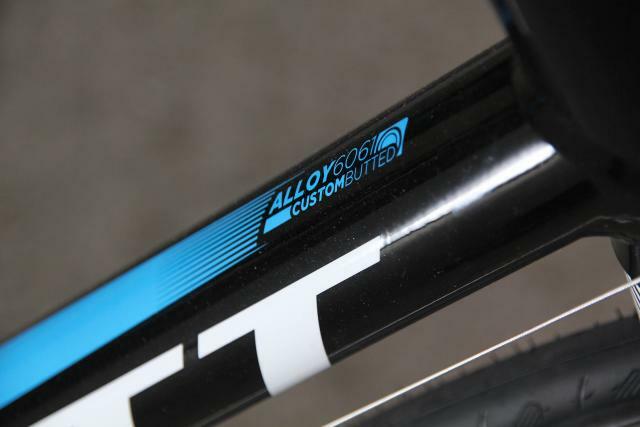 They’re all built around 6061 aluminium frames and come with Shimano-based groupsets. The S30 is the middle model, and the highest specced that you can get below the £1,000 mark and, therefore, on most employers’ tax-free bike to work schemes. The frame is double-butted which, for the uninitiated, means the tube walls are thicker at the ends than in the middle to save weight while retaining strength at the joints. All of the welds are super-smooth; not quite as smooth as old-school Cannondale joints, but not far off. You can barely see them. Out back, the chainstays and seatstays are nearly completely straight and you get a little chain hanger on the inside of the righthand stay which comes in handy when you need to pop the rear wheel out. The Speedster bikes come in a fairly traditional racy geometry. We’ve got a big lads’ 58cm model and it has with a 575mm effective top tube and a 190mm head tube. 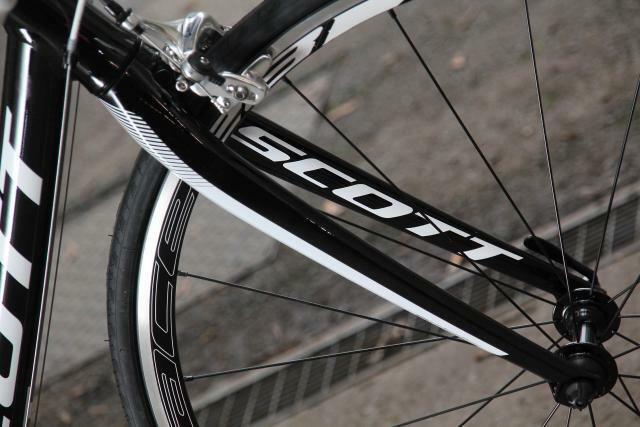 For comparison, a 58cm version of one of Scott’s Foil full-on race bikes has a 580mm effective top tube and a 180mm head tube. In other words, Scott have shortened the reach a touch and raised the front end slightly on the S30, but not by much. They’ve not ditched the performance geometry in favour of a sit-up-and-beg ride position. Whether that’s A Good Thing depends what you’re after, of course. Personally, I prefer a low and efficient ride position like this every time but other people like a head-up arrangement with less flex at the hips/lower back. Horses for courses. The fork is carbon bladed with an alloy steerer tucked away inside the head tube, which is pretty much the universal combination at this price point, and the groupset is Shimano Tiagra. The headline change on that front is that Tiagra has gone from 9-speed to 10-speed, although that doesn’t tell the whole story: the new 4600 incarnation of Shimano’s fourth-tier groupset has been extensively re-engineered. 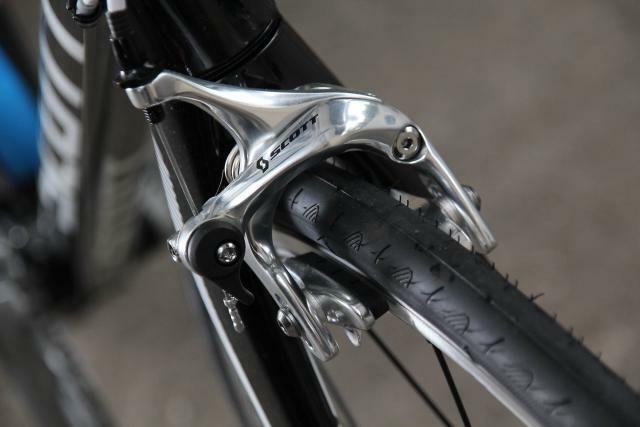 The shifters have been reshaped, for example, and Shimano promise smoother, easier gear changes… naturally enough. 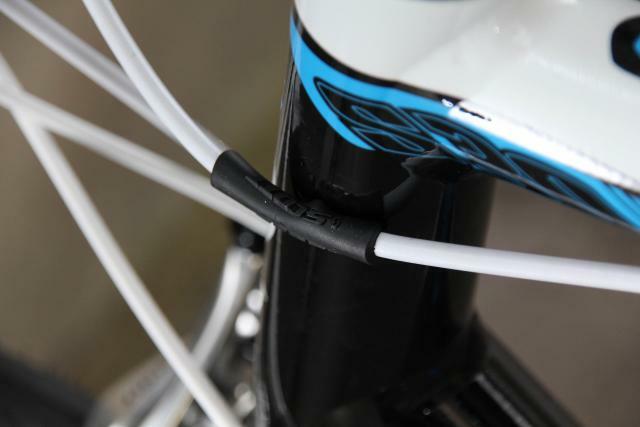 Unlike with Shimano’s higher end grousets, the gear cables still run externally rather than under your bar tape, and you get barrel adjusters at the levers so you can easily fine-tune the tension on the fly. We’re certainly looking forward to giving the new Tiagra a go. That’s a compact chainset, by the way, with 50 and 34-tooth chainrings to give you lower gear ratios than you’ll get with a 52/39 or similar. 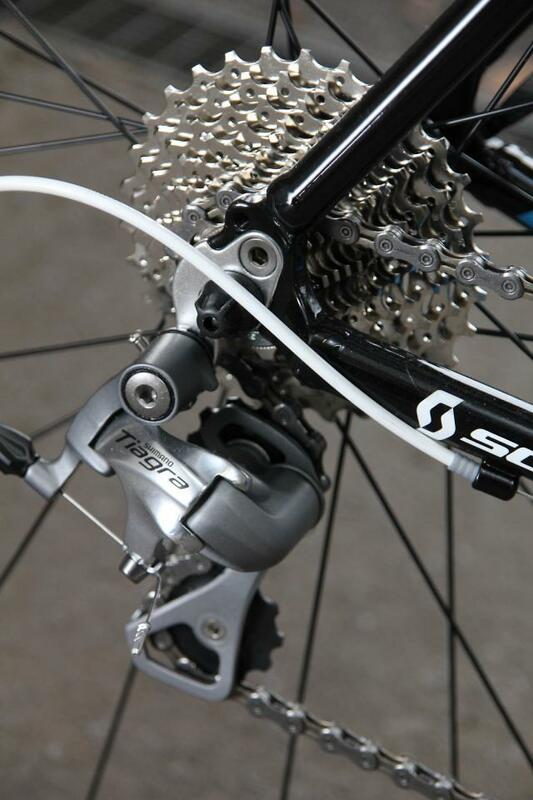 The cassette runs all the way from a 12-tooth sprocket up to 30-tooth. That’s not quite as large as the 32T dinner plate you can get with SRAM’s WiFli but it’s getting there. We’ll certainly be interested to see how it performs out on the road because there are some big jumps between gears in there. The brake callipers are Scott’s new SCBR-525s while the wheels match Scott Comp hubs with Alex Race semi-deep rims and Conti Ultra Sport tyres. Finishing it all off, the bar, stem and seatpost are all in-house alloy options. The complete bike – size 58cm – weighs in at 9.7kg, which is 21.3lb. And with that, we’re off to find out how the S30 performs on the road. It should be an interesting one. We’ll let you know as soon as we’ve racked up the miles.